With HERO6, GoPro Sets New Bar For Image Quality, Stabilization And Simplicity | GoPro Inc.
SAN MATEO, Calif., Sept. 28, 2017 /PRNewswire/ -- GoPro, Inc. (NASDAQ: GPRO) today unveiled HERO6 Black, the most powerful and convenient GoPro, yet. Powered by GoPro's custom-designed GP1 processor, HERO6 achieves an entirely new level of performance including stunning 4K60 and 1080p240 video and the most advanced video stabilization ever achieved in a GoPro. GoPro also launched Fusion, its bar-setting waterproof, mountable 5.2K spherical camera. Additionally, GoPro introduced new mounts and accessories plus a new Follow mode for its Karma drone. GoPro's founder and CEO, Nicholas Woodman, introduced the HERO6 Black and Fusion cameras to an international audience at the California Academy of Sciences in San Francisco, California. Watch a replay of the live event HERE. "HERO6's next-level image quality, video stabilization and three times faster QuikStories performance makes it a powerful storytelling extension of your smartphone," said Woodman. "It's never been easier to live it, then share it...using a GoPro." 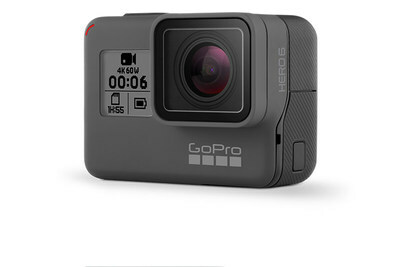 Developed from the ground up to maximize a GoPro's capabilities, GP1 enables twice the video frame rates, improved image quality, dynamic range, low-light performance and dramatically improved video stabilization over previous HERO camera generations. Importantly, GP1 automates all of these benefits, allowing users to capture vibrant videos and stunning photos without messing around with complex image settings. GP1 also advances GoPro's capabilities in computer vision and machine learning, enabling HERO6 to analyze visual scenes and sensor data for improved automated QuikStories. HERO6 Black is now available on GoPro.com and at select retailers worldwide. QuikStories is an app feature that makes it easy to share short videos of your adventures. HERO6 is optimized for QuikStories with 3X faster Wi-Fi. This means your footage will rapidly transfer from your GoPro to your phone where the GoPro App will automatically create QuikStory videos for you. With its ability to capture immersive 5.2K spherical content, GoPro Fusion marks the beginning of a new creative era. Fusion captures everything around you so you'll never miss the shot, and gimbal-like stabilization makes it all shockingly smooth. Use the GoPro App to play back and share your footage as VR content or use the app's OverCapture™ feature to recapture and share your spherical shot as a traditional fixed perspective video. GoPro Fusion is currently available for pre-order on GoPro.com for USA, Canada, United Kingdom and the European Union, shipping in November. Create stunning edits using the bundled Fusion Studio desktop software available when product ships. The OverCapture mobile experience will be part of a new version of the GoPro App available for iOS and Android in early 2018. Karma is ready for HERO6 Black and features two new auto-shot paths: Follow and Watch. Using GPS, Karma can now automatically follow the Karma Controller while you're on the go, keeping you framed in the shot. The Watch auto-shot path will keep Karma hovering in place while it rotates, keeping the Karma Controller in frame wherever it goes. Other new Karma updates include an expanded Cable-Cam auto-shot path and "Look Up" camera tilt capability. Current Karma owners may unlock new features via firmware update, available today. Shorty – The ultimate pocket-able extension pole and tripod, perfect for any activity. The Handler – An updated floating handgrip with a quick-release mounting feature. Bite Mount + Floaty – A versatile bite mount with an easy-to-spot float, ideal for POV. Learn more about GoPro's new mounts and accessories HERE. 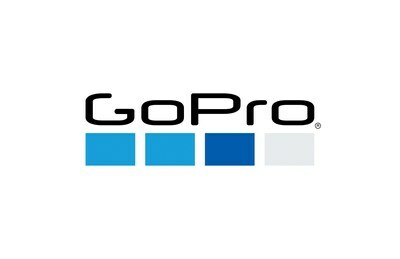 For more information, visit www.gopro.com or connect with GoPro on Facebook , Instagram, LinkedIn, Pinterest , Twitter, YouTube , and GoPro's The Inside Line.